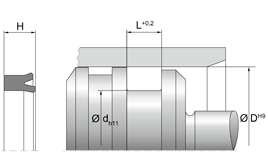 The KNA 28 u-ring is a single-acting piston seal with an asymmetrical design. Due to the synergy of geometry and material, it is particularly well-suited for extreme loads. 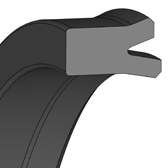 Seals made of TPU are very robust and are particularly well-suited for applications in mobile hydraulics, particularly earth moving equipment.